My name is Jamie Pritchard. I am 41 years old and I had a hair transplant carried out by Mr. Michael May of the Wimpole Clinic in London. I first started thinking hair replacement about a year ago when my hair started thinning a lot quicker than normal. I have been taking tablets and maxi hair vitamins but these did not seem to be working. A couple of friends of mine recommended that I go to The Wimpole Clinic and talk to Mr. Michael May. Before I made the decision to attend for consultation I started to look at hairlines and how I would like my hair to look. I am a celebrity hair stylist and my looks and in particular my hair is very important to me. I wanted to create and design and a unique signature look. I therefore started looking at celebrities and their hair styles to create a specific design. After much searching I decided that I loved the unique strong hairline of Gary Cooper. I therefore went for a consultation in March 2011 and I took along a photograph of Gary Cooper with me. I explained that Gary Cooper has a hair line quite strong but not like a young hair line, more like a mature male. 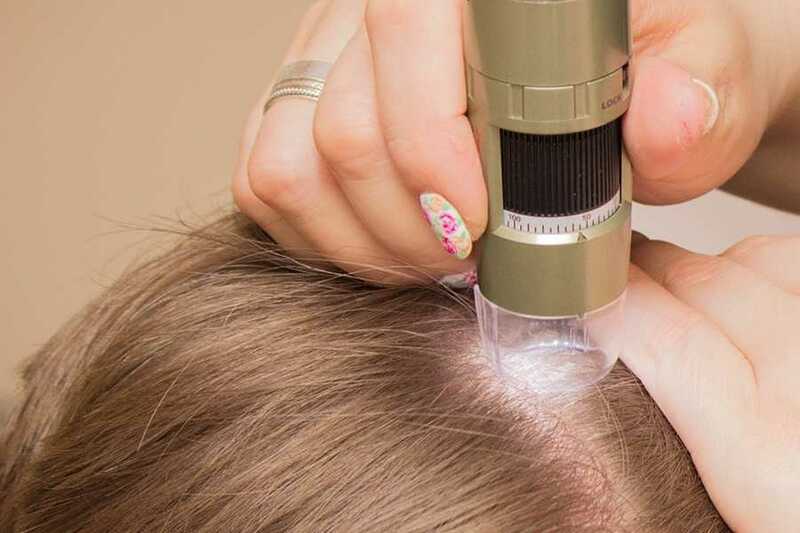 Mr. May confirmed that he would be able to copy the design and that the surgery involves taking individual hairs from the back scalp to transplant in to the frontal hairline. I went away to have a good think before making a decision to proceed. I did have another celebrity friend who had taken that decision about nine months before so after talking to him again I decided to proceed. I went abroad to work for two months and then came back and had my transplant on 3rd May 2011. I was nervous but as I had seen results of a friend that I trusted I tried to be as calm as possible. Mr. May and I had another chat about the design copying the pictures of Gary Cooper’s hair line. I was very nervous as it was not as if I needed full restoration; I just wanted it designed so that the front would still look as is it were receding but thicker. I was quite nervous because as I work in the industry of hair and make up, I had seen other hair transplants from years ago which look so fake and doll-like, just like plugs… but I trusted Mr. May. Mr. May gave me some injections of local anaesthetic and I remember dozing off. The next I knew it was 4.00pm and was told that 1350 hair grafts had been transplanted into the front of my head. I was so impressed I could not wait to look in the mirror and see it. It did not hurt at all. It felt numb and kind of tight, but when I looked in the mirror I could not believe how natural the implants one by one looked. I was really impressed. Working in the hair and make-up industry I have seen wigs and I look at hair lines all of the time and I am also involved in film work. I was really shocked that it looked as if it had naturally grown from my head. Anyway after taking a taxi home I went to bed. I had bought a flight pillow which you put round your neck because it makes sleeping afterwards so much easier. I had instructions how to wash my hair after the 3rd day. Everything had been given to me including shampoos, sprays and medication. The shampoo provided was really nice as it was really gentle and smelled medicated so it felt like it was cleaning my hair and not overly stripping it. I was impressed with the quality as it is a great shampoo. I used the spray bottle which kinds of smoothes and takes the itchiness away. The flight pillow helped because it is a little sore for a few days afterwards. I had the surgery on the 3rd May and it was my birthday on the 8th May. I had some swelling on my forehead but it was not uncomfortable so I stayed at home for a few days. On my birthday the 8th I put on some Toppik hair fibres sprinkling a bit of that over the top so you could not see any redness and went out to celebrate. Everyone noticed a big difference as none of the implants had fallen out. They all thought it looked really natural which gave me a lot of confidence. I did not drink too much; I just had a glass of champagne, so I felt really comfortable and confident. By 1st June I had lost some of the new hair as it had fallen out but I could feel stubble like it was growing back. I continued to use the shampoo from the clinic. I had a hair cut and the hair dresser was really gentle with me. The whole experience was fine considering I was dreading it so much. The clinic made me feel very comfortable and confident. I was very nervous before hand as I have seen first hand results especially from America (where I work some times in TV and movies). It helped that I had seen the results from a friend so I trusted Mr. May because of this. My hair is now perfect and I style it in the image of my chosen artist Gary Cooper.